and Amazon will donate 0.5% of the price of your eligible purchases. Shop at smile.amazon.com and Amazon will donate to MT Norris Scout Reservation Alumni Association, Inc.
From January 1, 2018 thru November 30, 2018 this brought in just over $120.00. Thanks to all of you! Click HERE to download and read the report about the state of Mt. Norris. Staff Photos Needed from many years. We are looking to expand our library of Mt. Norris Staff Photos. CLICK HERE to see what years we have. We would like to expand our collection to include as many years as possible. grupek@comcast.net and we will see that it gets added. If you cannot scan and are willing to send the photo to me, please email and I will provide the address. Karl will make sure to return the photo to you. THANKS! 2019 Beaver Days have been set, so mark your calendars! 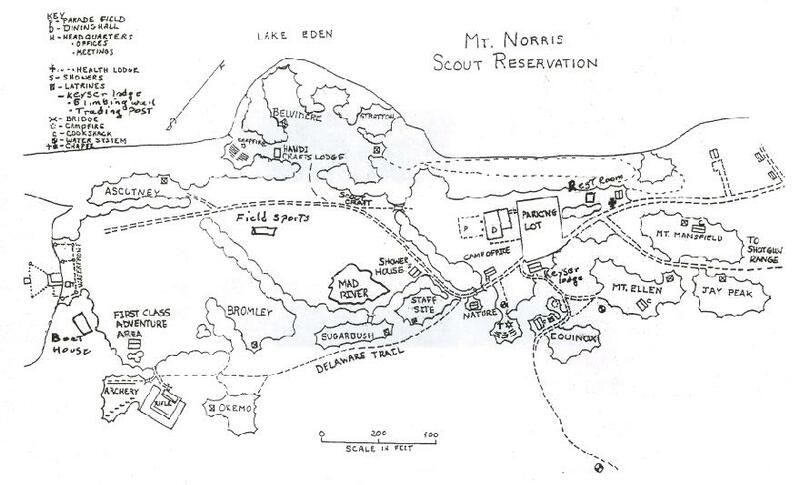 What is the weather like at Mount Norris? NOW you can check it out! Thanks to the National Weather Service, Burlington Office, along with John Compo and Marlon Verusamy. 2018 Fall Beaver Day gets much accomplished. While the weather was not the warmest or the best, we still had 15 workers show up to give it their all for the day. George and Mary Beach also cooked up roast pork with all the fixings for a hearty lunchtime repast. This was followed by a short, but productive annual meeting, where the new Board of Directors was elected. Notes on the meeting should follow soon. Then it was back to work on the projects. Trailer load of scrap metal removed.